Wellness in the workplace. This topic is continuously evolving. Health and wellness means different things to different people – so how does a company develop a wellness program that supports all employees? What kind of tools support ongoing wellness, versus a one-time ‘quick-fix’ initiative? We recently discussed the importance of wellness in the workplace with Mais Oweis. 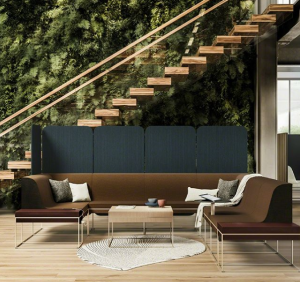 Mais is the HR Manager of Heritage Office Furnishings, a company that works to elevate the employee experience through creative office designs. She is well-versed in the benefits that a wellness program in the workplace can bring to a company. I have been in HR for 5 years. My career in HR started with headhunting and recruiting, in an agency. I have always had a passion for human resources and inspiring people. It was important to me to get more involved in the HR function side of things, other than just recruitment. Currently, I am the HR Manager at Heritage Office Furnishings. 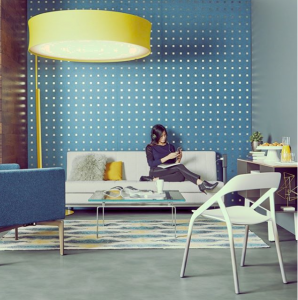 Heritage is an industry leader in creating inspiring, creative work spaces for their clients. Previously, I worked for LivaNova for 4 years, and it really helped shape my career. As well, I am a certified personal trainer. These two things really go well together in helping one another to achieve and meet their highest potential. 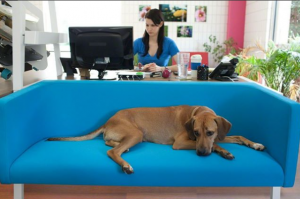 Why do you think wellness in the workplace is so important? There isn’t really one definition, but I think wellness in the workplace goes beyond just one single initiative. It involves physical and mental health, education, job fulfillment and training. There are so many aspects of wellness in the workplace to consider. It’s about managing the “whole employee”. How do you develop an effective workplace wellness program? You first need to set goals and identify why you are committing to a wellness in the workplace program. Once you know why and your intent, you can set your goals and develop a program and initiatives to meet your needs. Don’t forget to keep track of these goals, and to review them frequently. At the end of the day, it’s crucial to remember what you are trying to accomplish and why. At my previous company, the social committee was representative of each department, so we were able to consider perspectives from all areas. That way, we were able to ensure our program was inclusive of everyone’s needs and wants. Again, this is an area where communication is key to the success of the wellness initiative or program. How do you get buy in from leadership for wellness initiatives? Senior leaders need to understand that wellness programs don’t always yield an immediate Return on Investment. Sometimes the benefits might be more intangible. One way to get buy in from leaders is to communicate the added value to the organization through human capital. Wellness is a big umbrella and can be interpreted in many ways. You must ensure you are communicating what you specifically want to do and how it will benefit everyone. Once leaders in the company understand how wellness in the workplace can benefit the organization, it becomes a bigger priority. How do you get people excited about wellness? I would say having a community of people who are passionate about wellness in the workplace is critical. In an organization, you need to engage all departments to get them involved and excited about a wellness program. That way, they can also drive wellness initiatives. It is all about communication and putting the information out there. Setting up a committee to champion these initiatives and get the team enthusiastic about wellness in the workplace is really helpful. Communicate how a wellness program benefits not only their physical health, but also their mental health. Teach your employees how wellness in the workplace can add value to their lives, both in and out of the office. Start with the little things and show your team the impact it will have on their own wellbeing through experiences. What are some of the trends in workplace wellness that you are seeing for 2018? With this new era, it is a lot of catching up with technology trends and scoping out future trends. There are so many ways to monitor your health and wellness in the workplace with technology, and I think things will keep moving in this direction. What does employee wellness mean to you? What is something you can do right now to increase employee wellness? You should talk to your employees first and foremost. Find out what their challenges are and what they would like to see in terms of a wellness program. How do you measure the results of your initiatives? This can be difficult to do because the results aren’t tangible. In terms of the intangible aspects of wellness in the workplace, generally employee engagement and satisfaction increases. Many leaders are interested in the ROI for the bottom line of the company though. Some examples of more concrete return include seeing a reduction in employee sick days and leaves of absence. What is the most important thing to remember when creating a wellness initiative? It really is all about the employees. Any resources you wish you had, either earlier in your career or now? Fearlessness and resilience. Take risks so that you can learn from your experiences. 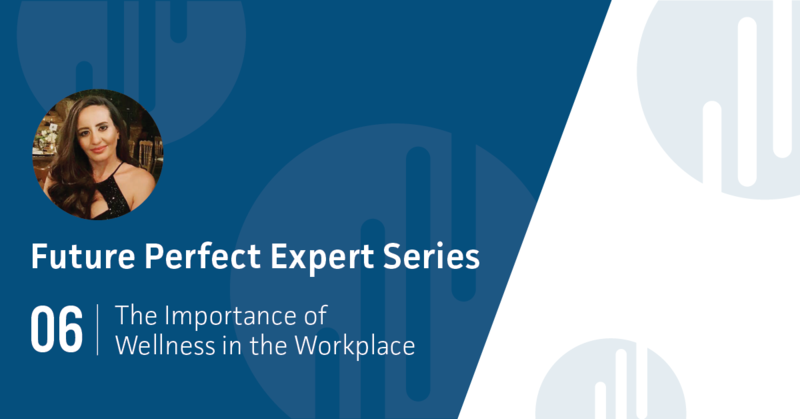 In our quest to make businesses human, we are proud to produce the Future Perfect Expert Series. These Q&A articles feature industry experts sharing inside scoop on how they are tackling common pain points in their organization. Subscribe today to receive new instalments of the Future Perfect Expert Series right in your inbox!